Hotels have in general been slow at introducing new ways to connect and interact with their guests directly to their mobile, especially considering a vast majority of your clients are already using a smartphone daily! Users spend more than one out of every five minutes on Facebook via their mobile. Facebook also announced recently that more than 700 million monthly active users engage with Messenger. Think about how you communicate with your friends and family today. From organising a night out to arranging a get together at Thanksgiving. We have become so accustomed to Instant messaging being an important part of the way we communicate with others. Hotels & Resorts are also starting to be aware of a higher amount of guest interactions from a smartphone for complaints, questions or posting photos. Clients want solutions in real time, from dealing with a complaint to booking a table in the restaurant, or just finding out what they can explore within your local area. Reservation confirmations, which are usually sent to emails are one-way forms of communication which don’t provide your guest an opportunity to personalise their stay further. Facebook Messenger can also provide a better online booking experience by offering real time support for the user to navigate through the transactional parts of a booking and improving the overall user experience. Interacting with your clients in real time is becoming a necessity for hotels, especially as it will help improve guest experience and satisfaction that leads to increased revenue performance. So how can you implement this into your hotel operation? Which department should be responsible for responding to guests? Offering messaging in real time needs to be available 24/7, so reception would be the logical choice. They must ensure that the are always online on messenger, so having the page open on one of the back office computers is ideal. 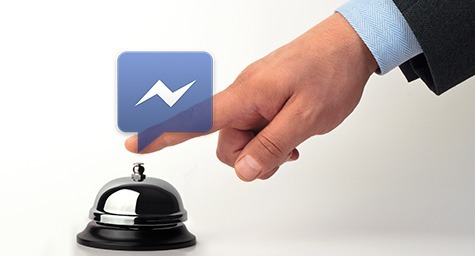 Ensure that all your marketing material throughout the hotel, as well as online via your web, booking engines as well as your descriptions on Tripadvisor, Booking, etc., include that you provide 24/7 real-time guest support on Facebook Messenger. Interact with your guests, rather than reacting will allow you to anticipate your clients wants and needs, sometimes before they even tell you! Connecting with your guests on a personal and emotional level will also enable your team to build relationships and trust that will allow your hotel to increase guests satisfaction and reservations booked directly overtime. All of us are so accustomed to using instant messaging, so it should be only natural that hotels & resorts are exploring new ways to interact with their guests and offer that personalised experience that every hotel wants to provide. Hoteliers should also be aware that as Google starts to become an OTA; Google Now will also be in the not too distant future, an important part of your guest communication strategy. Hotelient provide guest marketing solutions to Hotels across Europe If you like to find out about more ways to connect to your guests and increase your RevPar performance, email info@hotelient.net for further information.